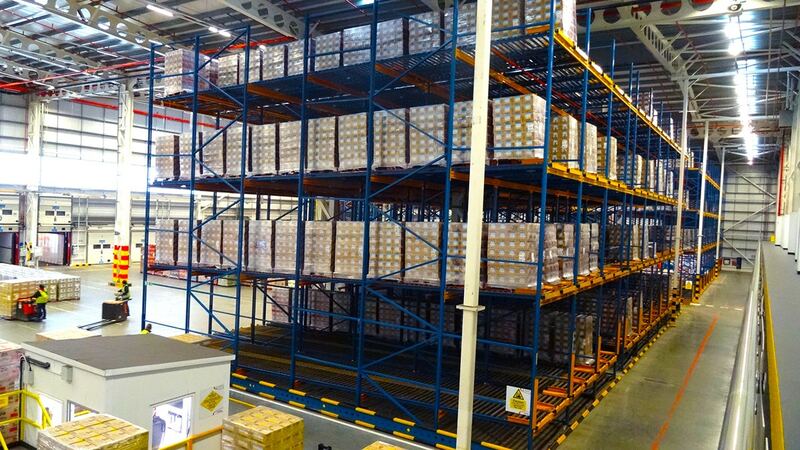 Push back racking systems work on a first in last out (FILO) system with pallets loaded onto a specially designed gravity roll track, capable of storing up to 10 pallets deep, a more cost effective cart option can also be installed, storing up to 6 pallets deep. Each pallet is loaded onto the cart or track and then pushed back to the full depth of the racking system. After retrieving the front pallet, all pallets behind it move forward to the retrieval position. Pallets are loaded and unloaded from the same aisle picking space. The main advantages of this pallet flow system, over drive-in racking, is that several SKU’s can be stored without the need of moving large quantities of pallets to gain access, therefore increasing productivity. 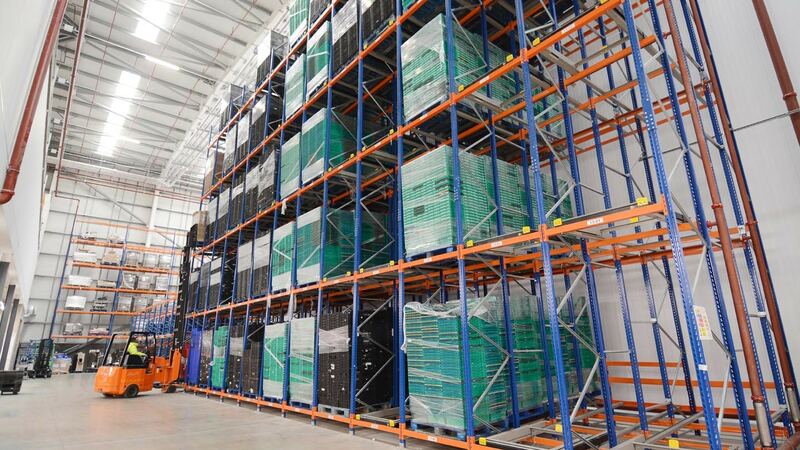 Pallet live systems work on the first in first out (FIFO) racking system principle and are specially designed to work within a pallet racking structure. Each pallet travels down a specially designed lane, being controlled by a series of inbuilt brake rollers which keep the travelling speed at a constant. When the pallet reaches the picking face, a load separator and load face control unit brings the pallet to a halt so the goods can be retrieved.